The monastic "Awakening Together" tour delegation says "With our country struggling with ongoing racial and religious tensions, you are invited to come and embody peace for our society by walking with us in a silent peace walk". Walk with Me will be making special announcements this week to celebrate the LA Premiere a few days ahead of its nationwide release into theaters across the US from 12th September. To mark the start of the walking meditation we are organizing a "Thunderclap" campaign to deliver an exclusive film clip to hundreds of people at the start of the walk from across the world. 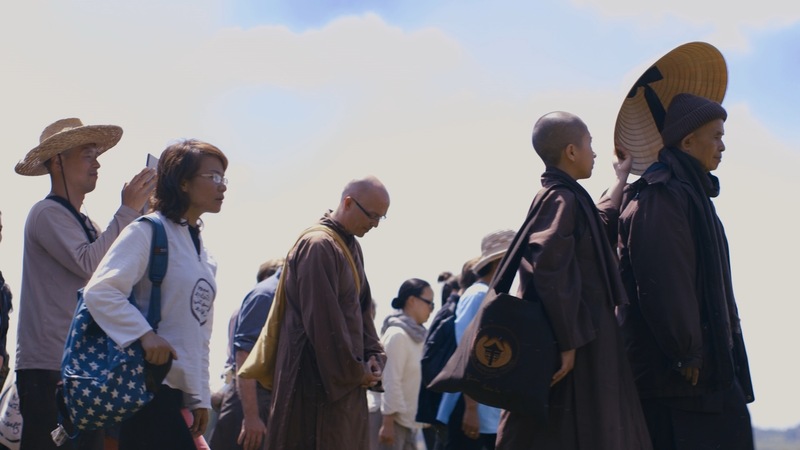 The clip shows a walking meditation led by Thich Nhat Hanh filmed exclusively for Walk With Me in 2014. To help us get the clip to as many people as possible, please visit https://www.thunderclap.it/projects/61563-walk-wit... and join our campaign Today. It's simple! Help us to bring a moment of peace by getting this beautiful immersive and meditative clip to the global community.